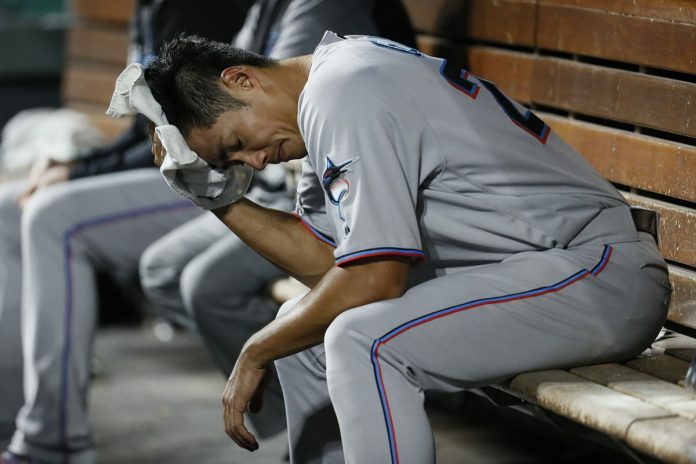 Watch Jose Urena, Wei-Yin Chen, and Don Mattingly reflect on tonight’s tough loss to the Cincinnati Reds on the road. Reds: Right-hander Hunter Greene had Tommy John surgery. The Reds announced last week that Greene, the second overall pick in the 2017 June draft, had torn the ligamentand would need surgery. … Joey Votto was hit in the ribs by a pitch from Chen in the sixth. He stayed in the game and ran the bases, and was replaced at first base the next inning. Benavides said Votto was fine.